When presenting a single design or an entire design portfolio there are certain tips and techniques that you should consider. If you are creating a presentation board for an interior design project, visit our extended article specifically dedicated to Interior Design Presentation boards. 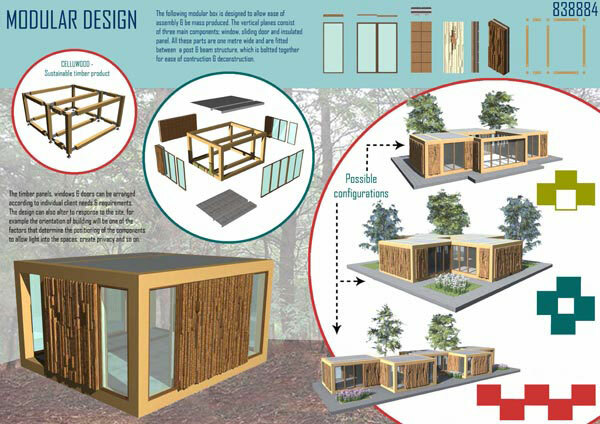 When presenting a design concept board information contained within the presentation drawings can be supplemented by accompanying text. This text is another important element in the design of a graphic presentation. The display of text needs to be considered, it might be boxed out or weaved into the actual drawings. In terms of the general layout of a presentation board consider these tips. A good presentation should not be cluttered, it needs to have sufficient space to allow the information to be easily read and absorbed. The information may be rendered in varying sizes or using different graphic styles and techniques. The content should align purposefully as this will help the viewer read the individual elements as a collective set. The graphic presentation style you choose should complement the design idea being conveyed and of course the presentation should clearly communicate the designers idea, concept and intention. Overall keep it clear and simple. Remember that any text is supplementary; the drawings should remain the primary means of communication and the focal point of the presentation. Determine the audience for your presentation. What will they want to see? For multiple page projects, label each page according to the sequenced list of contents you compiled earlier. Once happy with everything, assemble your portfolio so it corresponds with the flatplan.